This falls - a steep cascade split in two with a neat horsetail on the right side - is best seen after some good rains, but accessing it will be tricky then. 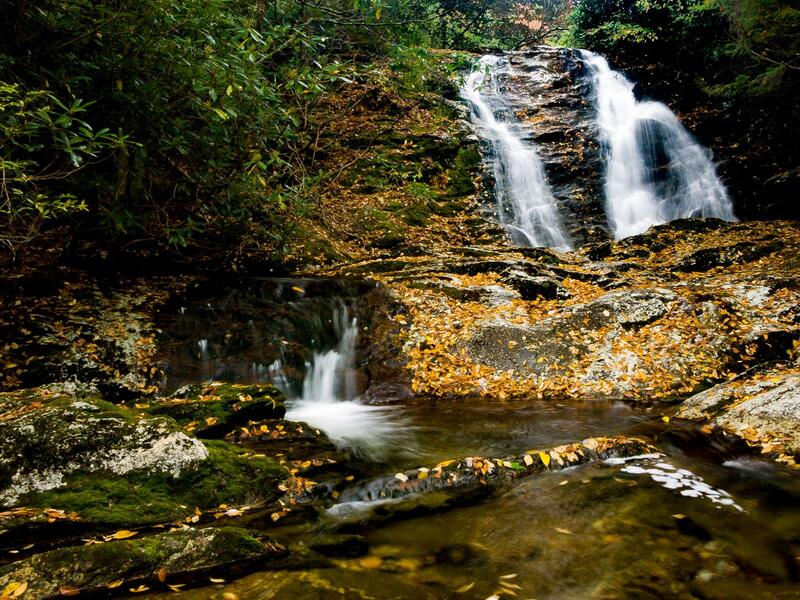 The high-elevation scenery of the area makes up for what the falls lacks in volume or height. Despite being very close to the highway, you'll have no idea it's even there. The NC MST continues on the other side of the creek, but go left, through a campsite under the spruces, following a faint manway upstream. The path crosses the creek several times - and the crossings can be tricky. After less than 1/2 mile or so, the trail kind of merges with the creek and arrives at the waterfall.